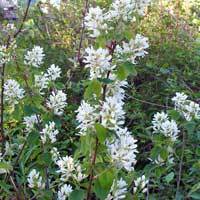 Attractive white flowers in spring, followed by edible berries that provide food for wildlife. Attractive golden leaf color in fall. Easy to grow.